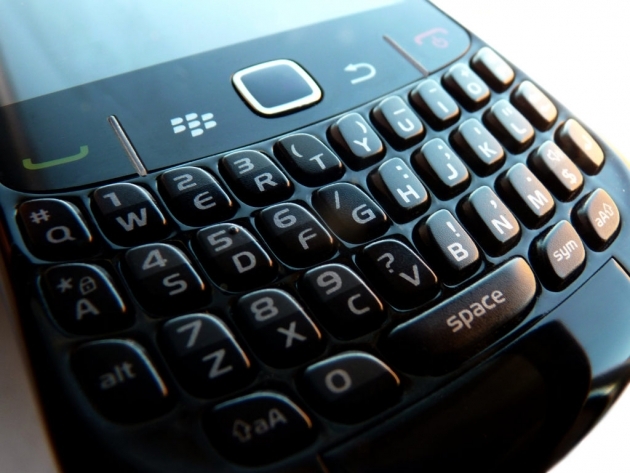 BlackBerry reports brutal quarterly loss, will layoff 4500 workers | BlackBerry Blast! BlackBerry has announced it will layoff 4500 employees, or 40% or its workforce after a nearly $1 billion quarterly loss. The company also braced investors for more bad news as the company generated only $1.6 billion in sales in the quarter when Wall Street was expecting of $3.06 billion. Things are very bad at BlackBerry right now. The Company currently expects to report revenue for the second quarter of approximately $1.6 billion, of which approximately 50% is expected to be service revenue. For the second quarter, the Company expects to recognize hardware revenue on approximately 3.7 million BlackBerry smartphones. Most of the units recognized are BlackBerry 7 devices, in part because certain BlackBerry 10 devices that were shipped in the quarter will not be recognized until those devices are sold through to end customers. During the second quarter, approximately 5.9 million BlackBerry smartphones were sold through to end customers, which included shipments made prior to the second quarter and which reduced the Company�s inventory in channel. The preliminary, unaudited information provided above is based on the Company�s current estimate of results from operations for the second quarter of Fiscal 2014 and remains subject to change based on the Company�s ongoing review of results, the subsequent occurrence or identification of events prior to closing of the review and any further adjustments made in connection with closing and review procedures. All figures in this release are in U.S. dollars and U.S. GAAP, except where otherwise indicated. As part of the Company�s focus on enhancing its financial results, and in response to the increasing competition in the smartphone market, BlackBerry also announced plans to transition its future smartphone portfolio from six devices to four. The portfolio will focus on enterprise and prosumer-centric targeted devices, including 2 high-end devices and 2 entry-level devices in all-touch and QWERTY models. With the launch of the BlackBerry Z30 � the next generation high-tier smartphone built on the BlackBerry 10 platform � this week, the Company will re-tier the BlackBerry Z10 smartphone to make it available to a broader, entry-level audience. At the same time, the Special Committee of the Company�s Board of Directors continues to evaluate all strategic alternatives for the Company. Furthermore, the Company also announced that it is targeting an approximate 50% reduction in operating expenditures by the end of the first quarter of Fiscal 2015. As part of this, BlackBerry will implement a workforce reduction of approximately 4,500 positions or approximately 40% of the Company�s global workforce resulting in a total workforce of approximately 7,000 full-time global employees.